When your government fails to protect you from murderous organized criminals, should a citizen take the law into their own hands to keep family, land, and country safe? This question is the heart of “Cartel Land,” a vigorously visceral look into two modern-day vigilante movements. In the Mexican state of Michoacán, Dr. Jose Mireles, a small-town physician known as “El Doctor,” leads an uprising against the Knights Templar, the violent drug cartel that has terrorized the region for years. Meanwhile, in Arizona’s Altar Valley—a narrow, 52-mile-long desert corridor known as Cocaine Alley— an American veteran named Tim “Nailer” Foley heads a small paramilitary group known as Arizona Border Recon, who are trying to stop Mexico’s drug wars from seeping across the border. Stalwart filmmaker Matthew Heineman (“Escape Fire”) places himself front and center in the madness, as Nailer, El Doctor, and the cartel all attempt to enact their own version of justice in a society where institutions have floundered. Disturbing, dangerous, and thrilling, Cartel Land is a fearsome reflection on the breakdown of order and the line between obeying the law and staying alive. An on-the-ground look at the blurry line between good and evil when Mexican and US vigilantes take up arms to fight ruthless drug cartels. With extremely personal access, CARTEL LAND follows the motives and operations of two modern-day vigilante groups and their shared enemy – the murderous and ruthless Mexican drug cartels. In the Mexican state of Michoacán, Dr. Jose Mireles, a small-town physician known as “El Doctor,” leads the Autodefensas, a citizen uprising against the violent Knights Templar drug cartel that has wreaked havoc on the region for years. Meanwhile, in Arizona’s Altar Valley – a narrow, 52-mile-long desert corridor known as Cocaine Alley – Tim “Nailer” Foley, an American veteran, heads a small paramilitary group called Arizona Border Recon, whose goal is to stop Mexico’s drug wars from crossing our border. I was fascinated with the ageless story of whether it is right for citizens to take up arms to fight violence with violence. El Doctor and Nailer each vie to bring their own brand of justice to societies where institutions have failed. 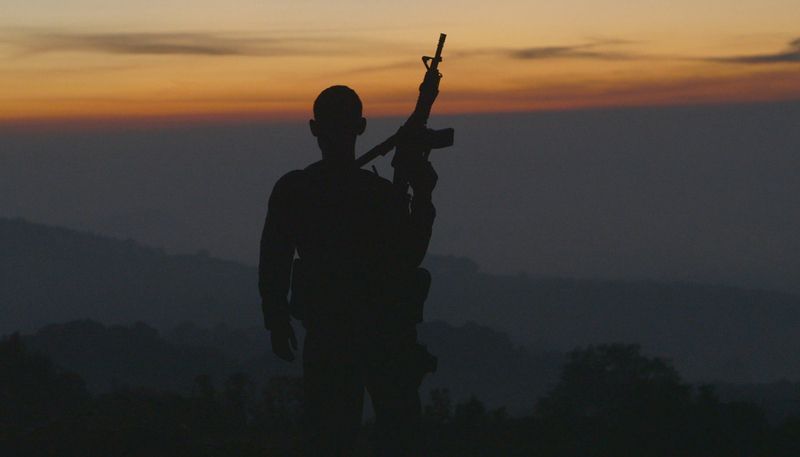 CARTEL LAND explores what happens when—in a Mexican society without order, law or security—vendettas, terror, and corruption go hand in hand with the pursuit of a better world. It also presents the story of those in Arizona who feel alone in their fight against that terror and corruption and betrayed by their own government, which they feel has let the US border become as lawless as Mexico. I’ve been a doc filmmaker based in New York for 10 years. I found out I wanted to be a filmmaker, almost by accident, after graduating from college in 2005. I went on a cross-country trip with three buddies to find out what our generation is about. I bought a video camera, started shooting, learned as I went, and ended up with OUR TIME, a feature-length documentary about what it’s like to be young in America. I was hooked. I landed a job at HBO, working for two years on the The Alzheimer’s Project, which aired in May 2009. I was fortunate to work with a great mentor, producer John Hoffman, and the amazing doc filmmaker Susan Froemke. Susan and I then co-directed/produced ESCAPE FIRE: THE FIGHT TO RESCUE AMERICAN HEALTHCARE, which premiered at Sundance 2012. After the festival circuit, it was theatrically released by Roadside Attractions/Lionsgate before airing on CNN. ESCAPE FIRE was a hybrid essay/vérité film combining a diverse set of experts and human stories to explore how and why the American healthcare system is broken and what we can do to fix it. I learned what made this technique successful in certain respects, but limiting in others. For CARTEL LAND, I also wanted to tackle huge, complicated subjects—vigilantism, border security, the drug war—but in a far more personal and targeted way, through the eyes of the compelling and deeply complex individuals at the heart of these vigilante movements. After reading about Nailer and El Doctor, CARTEL LAND’s two main characters, I was immediately drawn to know more about their worlds, in which everyday citizens have taken the law into their own hands. I wanted to tell their stories from an intimate, yet action-driven, verité perspective, without outside experts or text cards. It took many months to gain their trust and to gain the access that I needed to tell this story. This access and the situations it put me in were by far the biggest challenges. 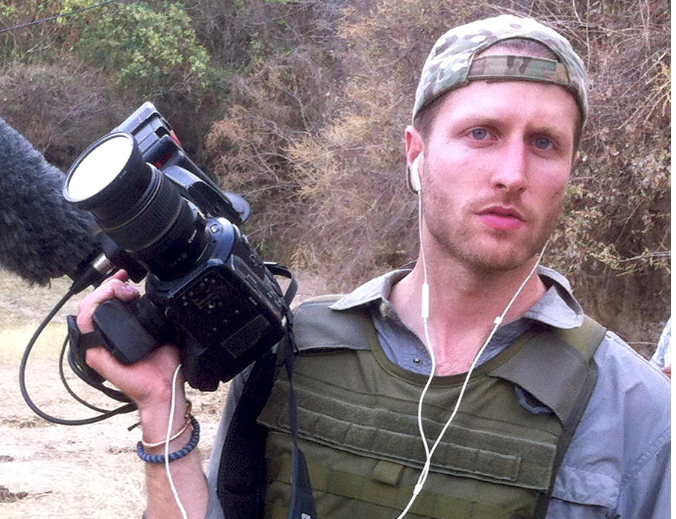 Having no experience filming in risky situations, CARTEL LAND pushed me into some difficult places – I’ve been in shootouts on the streets of Michoacán and in Breaking Bad-like meth labs in the middle of the dark, desert night. Utilizing small crews or shooting by myself, my goal was to be there to capture in real time each chapter of the rapidly shifting stories, with the camera in the action, not observing it from the outside. It was a wild adventure and a grueling film to make. What do you want Sundance audience to take away from your film? The more time I spent down in Mexico and Arizona, the more ambiguous the story became: it was partly an ascent of people seeking to fight evil and partly a descent into hell as they took the law into their own hands, with many twists and turns in between. It is about elemental issues of order and chaos, of the desire for law but also of terrifying brutality and lawlessness. Ultimately, I ended up making a much, much different film than I initially started out making. The film doesn’t offer pat answers and, instead, presents a complex story that I hope will be interpreted in many different ways. It is this moral ambiguity that intrigues me, and it emerges naturally in the story and in our characters. For me, it became a timeless parable of the conflict between idealism and violence, a story that has eerie echoes throughout history and across the world today. Two recent films that inspired me are THE SQUARE for its first hand account of the Egyptian revolution. I admired how Jehane Noujaim and her team always seemed to be in the right place at the right time—something that I attempted to emulate with CARTEL LAND. I also loved THE IMPOSTER and found it refreshing, complex, and uncomfortable in ways that I think doc films should make people feel. After a pretty intense 2 years, I’m planning on taking some time off for a few months, while I develop my next project. I’m considering writing a narrative, possibly, based on a recent article that really moved me. But I like to let some time pass between projects, so we shall see. I mainly shot the film with the C300 – The camera was dropped, smashed, hit by guns, in dust storms, torrential rain and it never, ever failed. For 98% of the film, we used two lens: 17-55 f2.8 and 24-105f4. For some specialty shots, we used the 5D (timelapse) and 1DC (drone) as well. If so, via what platform.